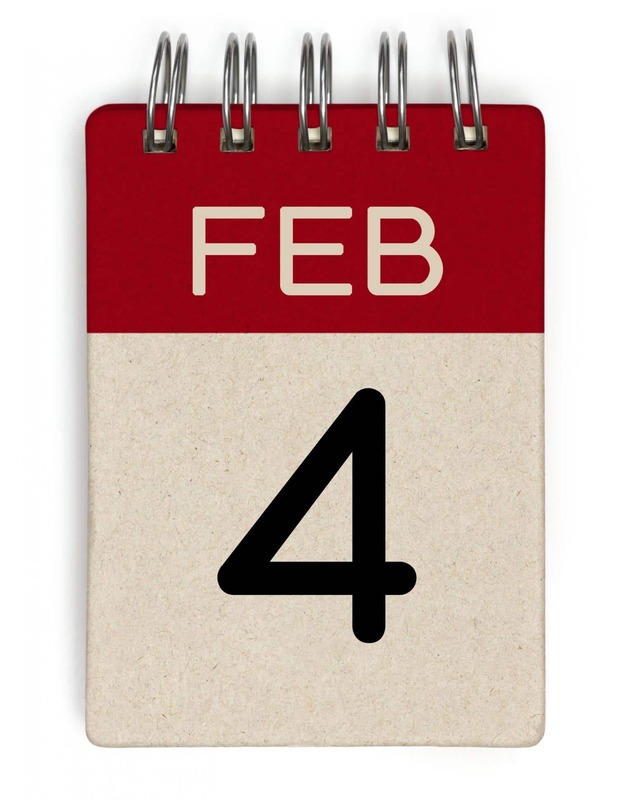 It’s that time of year again we all know as Super Bowl time. 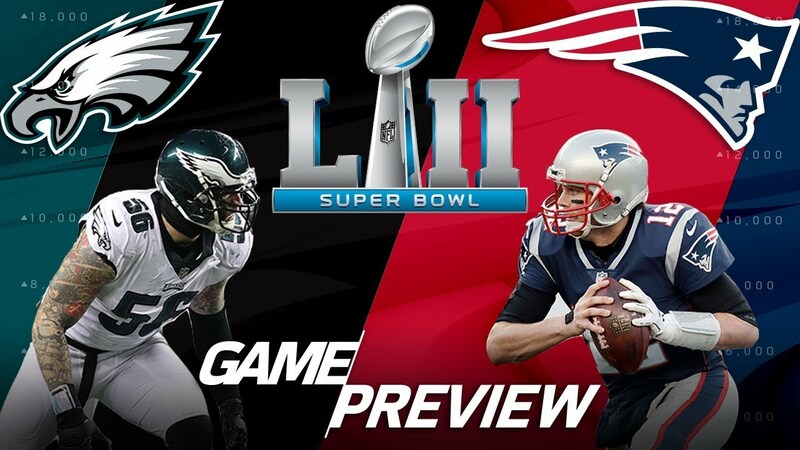 The glorious Sunday that only comes once a year, in which Americans all across the country will gather around their TV’s with good friends, family, and great food to watch the two top-rated teams in the NFL duke it out for the coveted championship, the Super Bowl. This year is promising to be a nail-biter. The Patriots are looking to bring home their sixth super bowl win with their star quarterback, Tom Brady, at the helm. Brady, who was recently injured, doesn’t seem to be slowing down before Sunday’s big game. The Eagles are returning for their third time and are hoping to take home their first Super Bowl win this time. Who knows, maybe the third time’s the charm? We know an awful lot of Eagles fans that are certain that this is their year to take home the big win. At Homes for Heroes, we love the Super Bowl and the excitement that it brings. From the much-anticipated commercials (who doesn’t love the commercials?) to the Halftime Show that is always spectacular, we can’t get enough of this thrilling spectacle of pure talent and nonstop fun. Nothing says America quite like hot wings, football, and friends. We know that the Super Bowl is just as much about the party as it is about the game. This year we will celebrate the 52nd annual Super Bowl, played coincidentally at the U.S. Bank Stadium in Minneapolis, Minnesota. Homes For Heroes is proud to call Minneapolis home. We couldn’t be more thrilled for this year’s Super Bowl location in our beloved hometown. We know it’s going to be an incredible and memorable game. If you have any questions about this year’s big game, from who’s playing, to when where, and how you can watch it, we’ve got you covered. 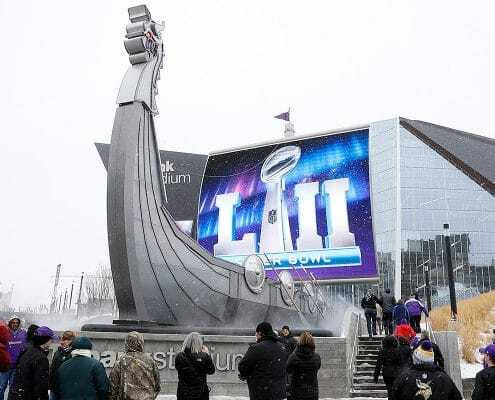 You can find everything you may want to know about Super Bowl LII below. Super Bowl LII will see the Philadelphia Eagles take on the New England Patriots. This year is not the first time these teams have battled it out at the Super Bowl. Fifteen years ago, these two championship winning teams fought it out in Super Bowl XXXIX with the Patriots barely edging out the Eagles, 24-21. If their first matchup is any indication of this years game, we know it’s going to be tense. This year will be the Patriots record-breaking tenth trip to the Super Bowl. They have brought home the win six times overall, with their last Super Bowl in 2017 against the Atlanta Falcons. In that close game, the Patriots overcame the Falcons 25- point lead, to win the game in overtime, 34-28. The Philadelphia Eagles aren’t strangers to the Super Bowl either, with this being their third trip. The last time the Eagles were at the Super Bowl was in 2005 playing, ironically, that fateful game against the Patriots. We know die hard fans are anxiously awaiting this rematch because both teams have impressive records this year, and stellar rosters. They will be playing this year’sat the U.S. Bank Stadium in Minneapolis, Minnesota. Kick off is scheduled for 6:30 p.m. E.S.T. This year will be the second Super Bowl held in Minneapolis. The first one was in 1992 when the Washington Redskins beat the Buffalo Bills 37-24 at Super Bowl XXVI. In 2014, Minneapolis beat out New Orleans and Indianapolis in a secret vote held by NFL owners to decide this year’s Super Bowl location. In 2017, nearly 111.9 million people tuned into to watch the Super Bowl. This year, the number of people watching is expected to grow exponentially. If you have cable, then you can watch this years game on NBC. The network will be broadcasting the Super Bowl live with hosts Al Michaels and Cris Collinsworth. NBC will begin broadcasting live coverage at 12 p.m. E.S.T. If you don’t have cable, you have plenty of options for streaming this year’s game. You can also download the NBC app, the NFL’s official app or Yahoo Sports app. How About Halftime Super Bowl LII is a flashback in more ways than just one. Not only will we see two teams face off for the second time, but we will also have a repeat of 2004’s infamous halftime show. Justin Timberlake will be back for his second Super Bowl performance. And we know it is going to be incredible. The last time Timberlake graced the Super Bowl stage, the entire world took note. Who can forget 2004’s halftime show? Thanks to a crafty routine and an unfortunate wardrobe mishap, 2004’s halftime show will forever live in infamy. 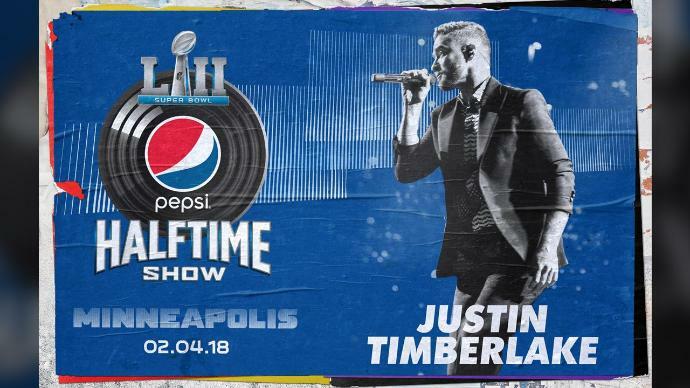 Coincidently, the last time Timberlake was on the Super Bowl stage, the Patriots were there as well, facing off against the Carolina Panthers and taking the win, 32-29. This year’s Super Bowl halftime show is sure to be another showstopper. We can’t wait to see what Justin Timberlake has in store for us. At Homes For Heroes, we are anxiously anticipating the Super Bowl this Sunday. The chance to relax with our friends and family is a much-welcomed opportunity for a good time. We hope you can also take the day to not only indulge in your favorite snacks but also as a chance to catch up with friends and spend time with your loved ones. We can’t thank you enough for all that you, our Heroes do for your country and your communities. Homes For Heroes is honored to serve you and your family. Whether you are buying, selling or refinancing your home, we are ready to work with you to make sure you get the best deal possible. Our caring community extensive network of trusted real estate agents and lenders are is committed to serving and giving back to you, our Heroes. We also love saving our heroes money during the home buying process. If you’re getting ready to buy or sell a home and are a hero, sign up and we’ll have someone give you a call!